Multipacking and variety packs are seen by many marketing personnel as a way of increasing sales of a product into the marketplace. 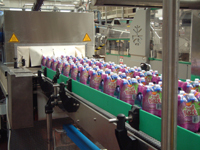 To meet this requirement in the can and bottle market Enterprise Tondelli has a variety of equipment and systems to meet this need. Bottle necks could be through the board or enclosed. 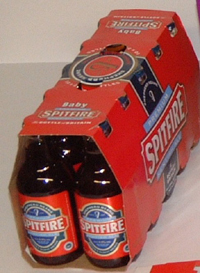 Often marketing requires to produce a mixed pack giving the customer for instance several flavours or variations of the same product in one pack. A project for Mackle Pet Foods for instance meant making combining three or four different flavours of canned pet food into the same shrinkwrapped 6, 8 or 12 variety pack. A robot depalletiser and special laning system was supplied along with all the conveyors to meet this need along with a film only multipacker shrinkwrapper. The multipacks produced were then automatically laned, orientated and packed into a tray with film. Another solution is a multiple star wheel system that also can combine different products into the same pack. As turn key suppliers Enterprise Tondelli will design and supply a system to meet your needs.